Cost and flexibility are two of the biggest reasons Canadian businesses are switching to Hosted PBX phone systems for their offices. With average savings of 50%, plus a feature set that makes managing your businesses communications easier, why wouldn’t you switch? 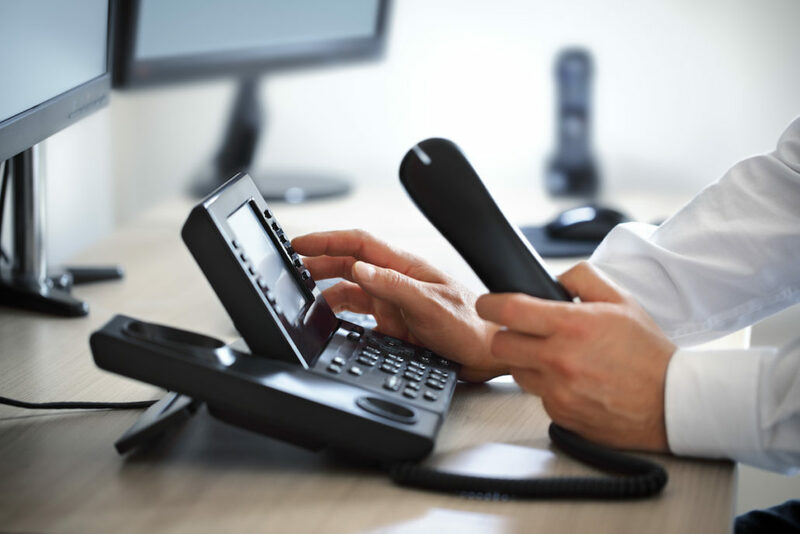 If you’re brand new to the world of VOIP PBX phone systems, then check out this article on how hosted PBX phone systems work. Upgrading from an old PBX System? If you currently have an on-premise PBX phone system, you know the struggle to service, upgrade and maintain the hardware. It’s costly, takes up space and isn’t all that scalable as your business grows. No license fee for devices or features. No hardware onsite, except for the phones on the desks. No upgrades or servicing to be done. We host all the hardware and software for your Virtual PBX phone system. If you prefer, we can install our platform into your existing cloud infrastructure (multi-tenanted, developed in-house over the last 12 years). Improved Features. Our multi-tenanted, Hosted PBX phone systems offer more than just transfer, hold, and voicemail. Take advantage of features such as voicemail-to-email and find-me follow-me to help your employees service your clients better. Your business phone system needs to work for you, not against you. Let us take care of the headaches traditionally associated with business phone systems so that you can focus on your business. We’ve been building office telephone systems for a long time. Let us help you. Considering the benefits of moving your PBX to the cloud? Need a replacement for your on-site PBX? Get all the features you need from the basic to the complex for your business IP phone system. Let us do the heavy lifting. We helped write the book on Asterisk® and can help your technical team deliver the business IP phone system of your dreams at a reasonable price. We specialize in open-source telecom, including Asterisk, OpenSIPS and SIP standards compliance, to name a few. Got a question? Something broken and you want to get control of your system? We’re happy to help. Want to improve your telecom services while reducing costs but don’t want to or can’t completely eliminate your legacy equipment? ClearlyCore can help make sense of your current infrastructure and optimize your business IP phone system environment. Why Switch to a Hosted PBX Phone System? PBX phone systems used to be a local business. There were dozens of companies across Canada that sold, supported and maintained systems. With a cloud business phone system things have changed, but not really. When you deal with the big telcos you know the company you’re dealing with, but you never get to know the people. If you have a problem or need some guidance, you call the toll-free support line and wait in queue until the next available representative is available. Not so with ClearlyCore. We’ve built our business helping small Toronto and Canadian businesses build a cloud phone system that works for them. If you have a question, you call us, and we’ll answer. You don’t need to be a techie to switch to a cloud PBX phone service. In fact, compared to the on-site equipment required to run a traditional business phone system with multiple lines, a business VOIP system is a walk in the park. Yes, there are some requirements for initial setup. If you’re looking for a hosted PBX system in Toronto, our local staff will help you with the initial planning and setup. If you’re looking for a hosted business phone system elsewhere in Canada, contact us and we will help connect yours with a local advisor who can handle the initial system setup. ClearlyCore hires highly experienced and respected individuals from our industry to professionally serve our clients. Each consultant brings at least a decade of relevant experience in their area of expertise. Choose a company that can offer you the service, quality and ongoing attention you deserve. We offer affordable maintenance plans that help keep your mission-critical telephone systems tuned and running. Discover the benefits of personal, professional attention to your needs. We make it easy to tailor your business phone system to your unique needs. Whether you need an on-premise system, cloud-based system or a hybrid, and you just want it taken care of, choose the professionals at ClearlyCore to get the job done. We wrote the book on Asterisk®. Jim Van Meggelen, co-author of the O’Reilly books, Asterisk: The Future of Telephony and Asterisk: The Definitive Guide, is one of our founders and our CTO. Jim is actively involved with many ClearlyCore projects. We understand what needs to happen at the user level, and we understand how the system needs to meet the budgetary, functional and performance parameters set by our clients. We bring an old-school, passionate focus on excellence to everything we do. We’re telecommunications people, and have been for a long time, and we know that good enough is not good enough. Discover what it’s like to work with people who really care about what they’re doing!